Designed by renowned Finnish American architect Eero Saarinen and built in 1960, Hill College House at the University of Pennsylvania underwent a 15-month, $80 million, LEED Gold certified renovation. The internationally recognized landmark reopened to 500 student residents in August 2017. One of 12 undergraduate residential houses at Penn, Hill features more public and communal space than any other campus residence. The Civic/Institutional Design Award of Excellence is given for the restoration of the Hill College House. Located on the University of Pennsylvania’s campus, the building was designed by Eero Saarinen with landscapes by Dan Kiley in 1960. 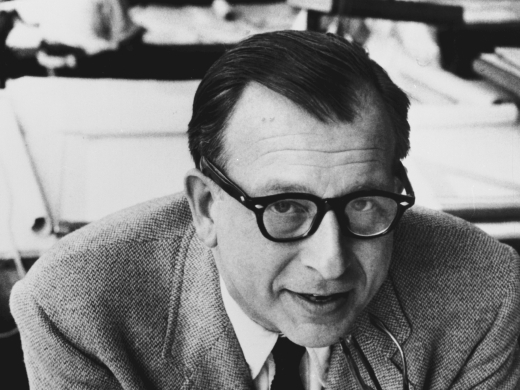 Saarinen grounded his design for the five-story, 195,000-square-foot brick residence in the idea of a self-sufficient village; it was the first purpose-built women’s dormitory at Penn. No major renovation had been performed at Hill College House since it was built, and although the architecture continued to foster a strong sense of community, dated systems and finishes needed updating. Penn wanted to bring the residence up to 21st century standards while retaining its unique features, and the design team’s collaborative approach involved conservation, laboratory materials analyses, and archival research to understand Saarinen’s original details and appropriate contemporary replacements or complements. After undergoing a 15-month, LEED Gold certified comprehensive renovation, the landmark reopened to 500 student residents in August 2017. Serves as a student residence on the campus of University of Pennsylvania.